You are going to be named Executive or have just started. Your first 100 days are crucial. Audifty will assist you in building a personal roadmap matching your targets. Our focus will be to help you successfully achieve these first 100 days. Making sure that any decision taken is rightfully implemented by your team. Transfering missions ownership to your team members. Clarifying their responsibilities, duties to your satisfactory expectations. Setting up the right governance structure. Audifty will let you increase your hit rate needed to win that major complex contract negotiation you’re in. In French, English or Spanish. Analyze your balance sheet and P&L. Use a robust business plan to challenge an investment proposal. Train your team members to Key Financial topics. Transform your start up into a solid long term enterprise. Audifty will study your specific case and offer a tailor-made solution. More generally in any foreign country. To support you and even acting as a transition manager that tough times require. Risk management is one of the key factors in achieving your strategic projects. Many companies are facing issues that could impact performance, image or even liability. One of the root causes may be the lack of a robust internal process, including risk management. Risk management must be handled globally at the Executive level. Only then, Risk Vision Design will ensure that your firm's risk concerns are properly handled. The right risk management process including internal control will enable you to act swiftly and anticipate any occurrence. Anticipating is protecting your company. Build or tune Risk management tools and processes (Governance, Sales, Procurement, Finance, HR...) and customize them to your Company's specificities. Change allows improvement but transformation leads to success! It's a difficult decision to take and to implement, no matter what the company size. Why do you need to change? What kind of transformation do you want to implement? You need to change to adapt to a worldwide evolving context where transformations are compulsory to establish, maintain and improve your performance. Transforming your company is not easy. The process starts with observation, diagnosis, root cause analysis and road map building. You need to engage all stakeholders in that transformation route, ensuring everyone full understanding and commitment. You will successfully implement that transformation by people's commitment and ownership. People are your company key assets. Human Resources management, people development, highly skilled profiles onboarding, training, and industrial relations are fields of expertise where an external support might be the guarantee of an up to date added value.  Audifty provides you with this portfolio of expertise, mobilizing experienced professionals in France and in international contexts. By analyzing, improving, securing and becoming lean, your firm will reach best in class performance levels. Audifty will support you with a human and tailored approach in auditing, diagnosing and selecting the best hands-on solutions. We believe in our extensive hands-on successful experience rather than bookworm theories. We've gathered over time the best practices from the most Senior Executives in the high end Aeronautics world and we believe you can benefit from it! Graduating with honours from my Master in International Business, with a major in Finance and Management, I managed to build a successful career and reach a top executive position in a leading Aeronautics, Space and Defense Group. For more than twenty years, I developed my skills by solving business and strategic issues throughout multiple subsidiaries as well as Headquarters. Mastering multilingual and transverse cultures led me to gather an in-depth knowledge of cutting edge technologies and know-how on which challenges were yet to be solved. Daily contacts with board members and 100,000+ staff firm executives was key in learning from the best and collecting state of the art management skills. Having to solve complex business issues in an ever more competitive environment made me the entrepreneur I have become. Despite these many and diverse experiences, one common thread never changed: optimizing by a deep observation, understanding and analyzing all processes at stake. Sometimes, recovering growth and profit meant simplifying the organization but also developing talents. I was meant to identify, strengthen and secure the Company's future. For 20 years, Executives from the leading Aeronautic Defense and Space Group have trusted my recommendations. Today, with Audifty, I am offering you a real support to develop, transform and secure your company. Your problems can be solved, all you need is the proper partner. Audifty est agrée par la BSI en tant qu’expert auprès des PME, lot ingéniérie financière.